I can hardly believe today is finally here! 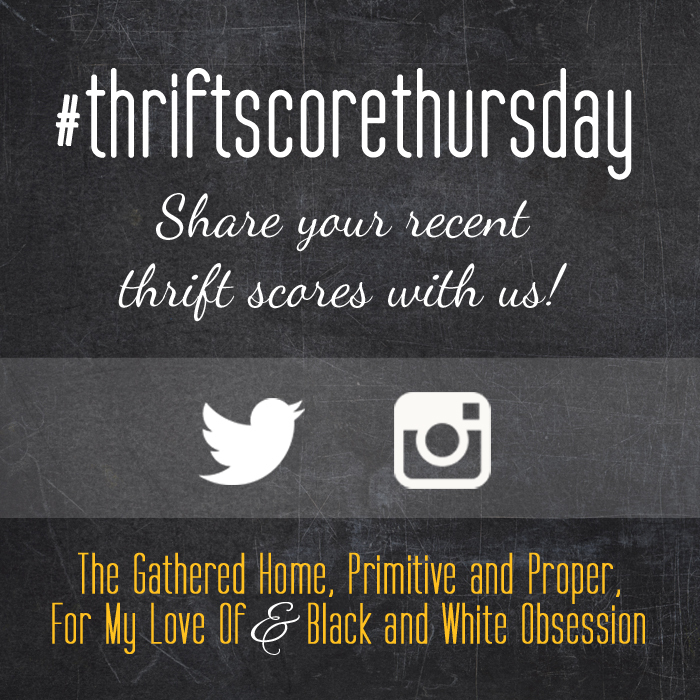 After months, of participating in this weekly series, I’m so honored to be one of the co-hosts of #thriftscorethursday. If you’ve never participated in #thriftscorethursday before, let me tell you how awesome it is. During the week, people just like you and me are thrifting all across the country. We’re hitting up charity shops, estate sales, old warehouses, yard sales, barns and even stopping on the side of the road to pick up fun items. No matter what day of the week it is, if you see something totally fantastic make sure you hashtag your find #thriftscorethursday. That’s right you can hashtag your treasures any day of the week not just on Thursdays! Super cool, right? Each week, these lovely ladies Trisha from Black and White Obsession, Cassie from Primitive and Proper, Brynne from The Gathered Home, Corinna from For My Love Of, and a weekly guest co-host (that’s me this week, yeah!) will pick a few favorite thrift scores to feature! So please note that by linking up with #thriftscorethursday, you are giving us permission to share your finds via social media or on our blogs. I totally revamped my booth space at The Pickers Market on Tuesday. We’re getting ready for a big event called The Shrimp Festival. The entire downtown area will be packed with fellow vendors and food trucks, which is really exciting. In my haste to pack as much as possible in my car, I almost packed this old metal sign I found for one of my sisters while out shopping last week. She has a lot of coastal décor in her home and this will be perfect for her. She’s coming to pick it up on Saturday so I’m glad I caught it before I put it in the booth. For my features this week, I chose some really fantastic ladies. 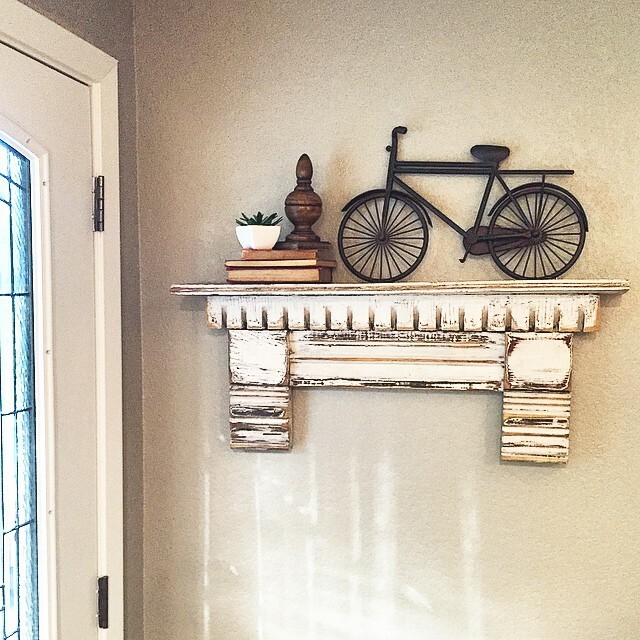 Do you guys know Shannon from @aninspirednest on Instagram? She posted this beautiful shelf she found at an estate sale. She hung it by her front door and it was a perfect fit. I love it when that happens. I seriously feel like I could take everything in this picture from Holli of @beesnburlap home with me. Then I read she bought this 80 year old cooking stick for $1.50 and I was so excited for her. She has a really great feed on Instagram too so make sure to check her out. You guys already know I heart Ty from @littlehomereloved We first became friends on Instagram. She can style a gallery wall like nobody’s business. 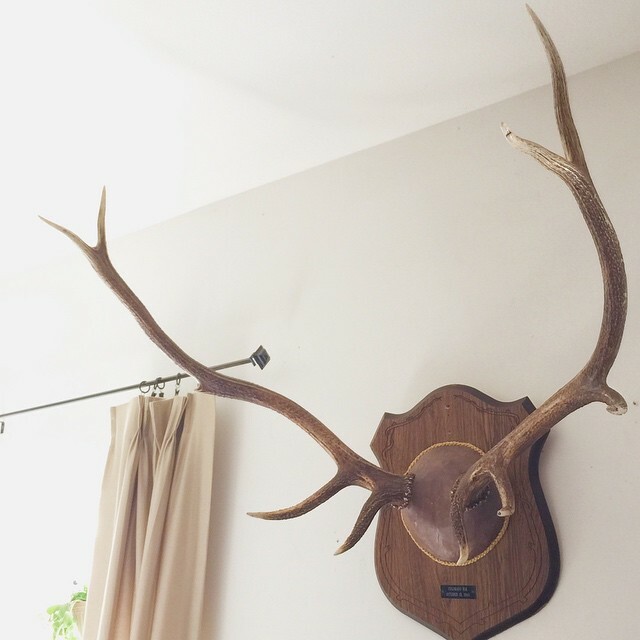 She found these huge antlers and they are beyond amazing. Lastly, I just want to say a very big thank you to the ladies that make #thriftscorethursday happen every week. I’ve had the pleasure to meet Trisha and Cassie in person at Haven last year and they were so gracious. Brynne and Corrina have been easy to work with and continue to encourage my love of the treasure trail. It’s really exciting to know they’ve cultivated this series where we can all share what we’re most passionate about so make sure to follow them. See you guys back here tomorrow – I’ll have a full recap of my booth! Hey CoCo – thanks for all the information for Thrift Score Thursday – we definitely need to start participating. Your features are absolutely perfection! Congratulations on co-hosting!! You picked some great features and I now have new friends to follow on IG! Have a great day! Hugs! Oh gosh that sign is so perfect for the coastal design. 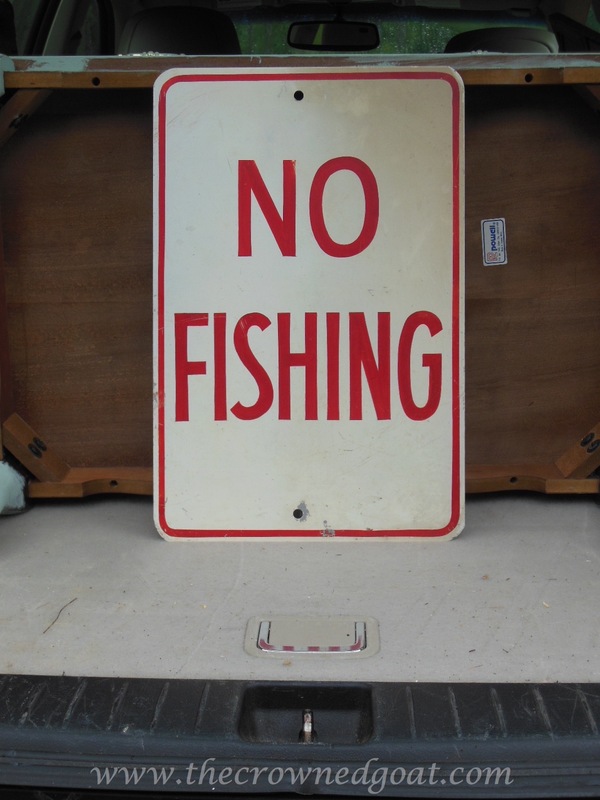 I have a road sign and have always held out that it will have a special place in our “show garage.” But that would require a garage that one could actually maneuver in ha! 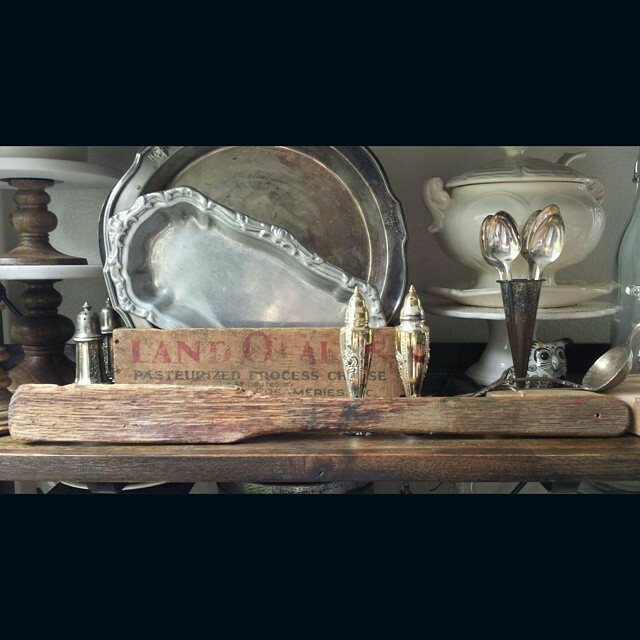 Thank you so much for sharing all your lovely treasures and we absolutely loved having you! You are just the sweetest! Please come back anytime! LOVE those antlers! they are amazing!!!! thank you so much for guest hosting!! Thanks so much for hosting with us! That sign is amazing and I know you’re so right about how great it’ll look!